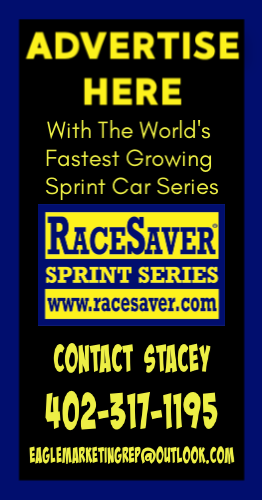 2018’s RaceSaver IMCA Sprint Car Nationals Champion is Kevin Ramey! 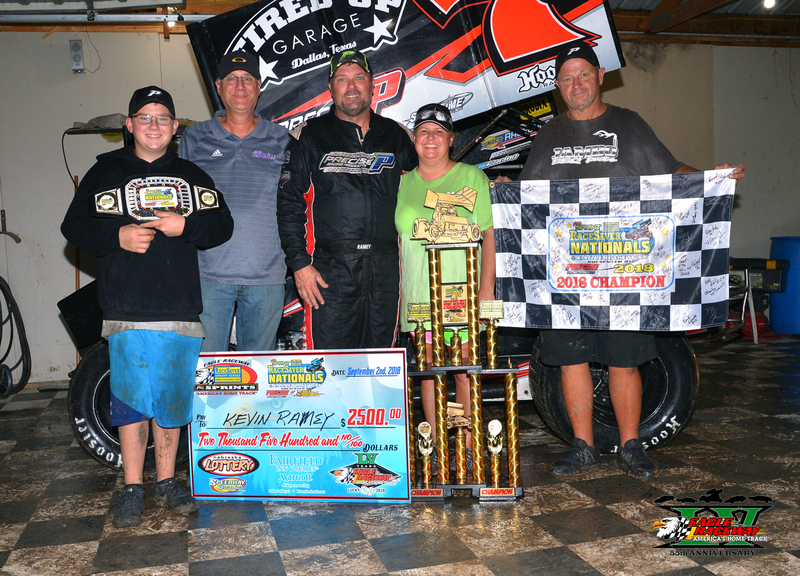 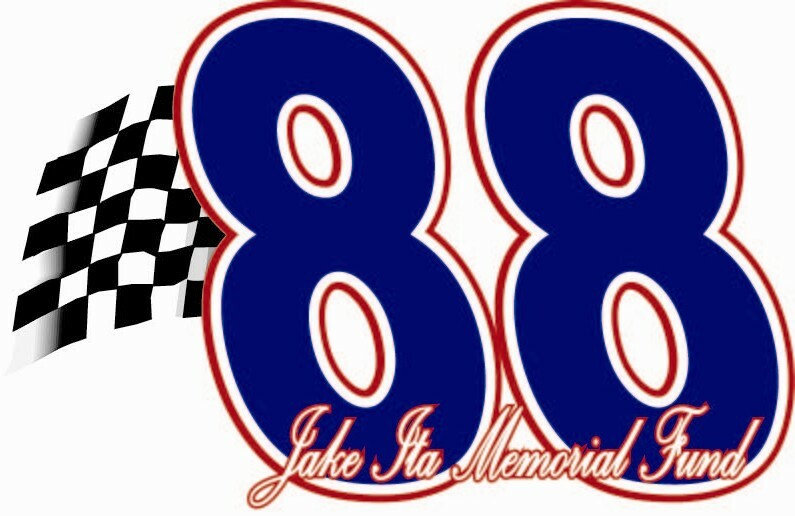 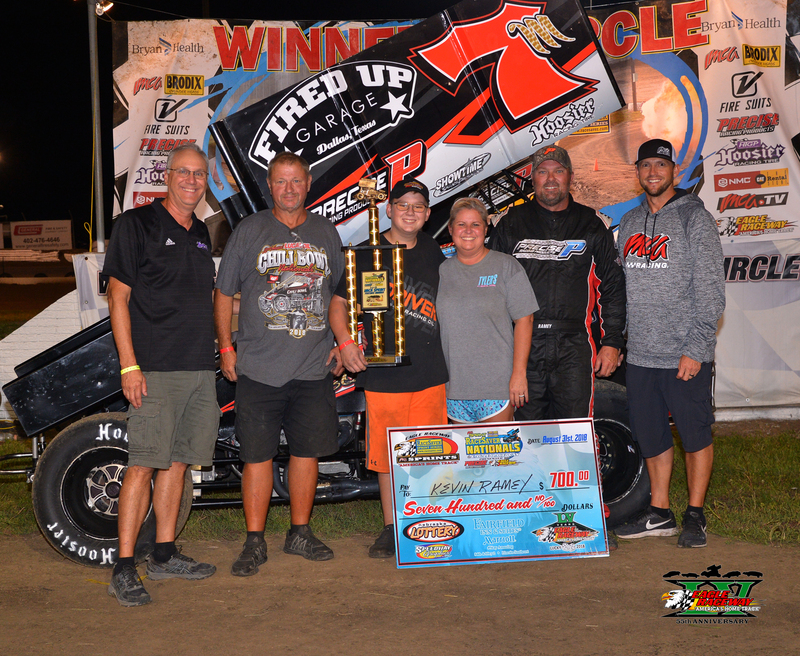 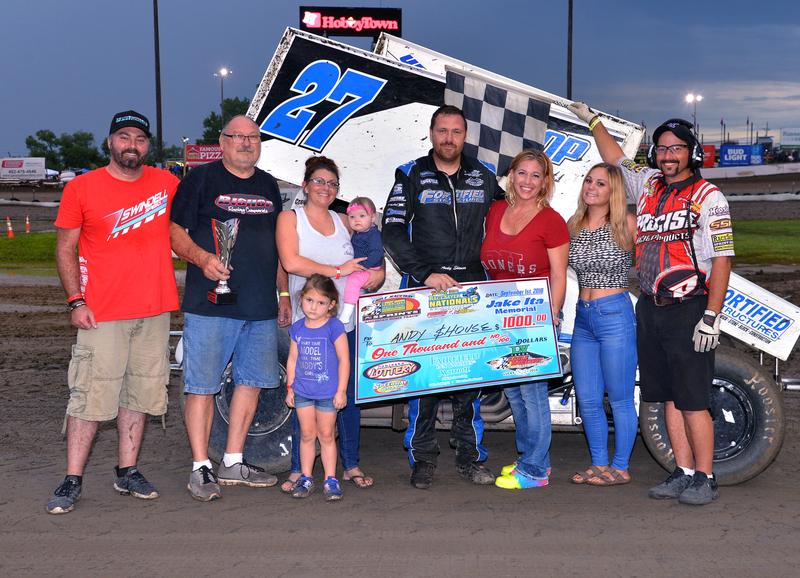 After the grandstands were emptied of the fans who watched the postponed Saturday portion of the 6th Annual Racesaver Sprint Nationals, the Sunday events kicked off with the Jake Ita Memorial Race of Champions. 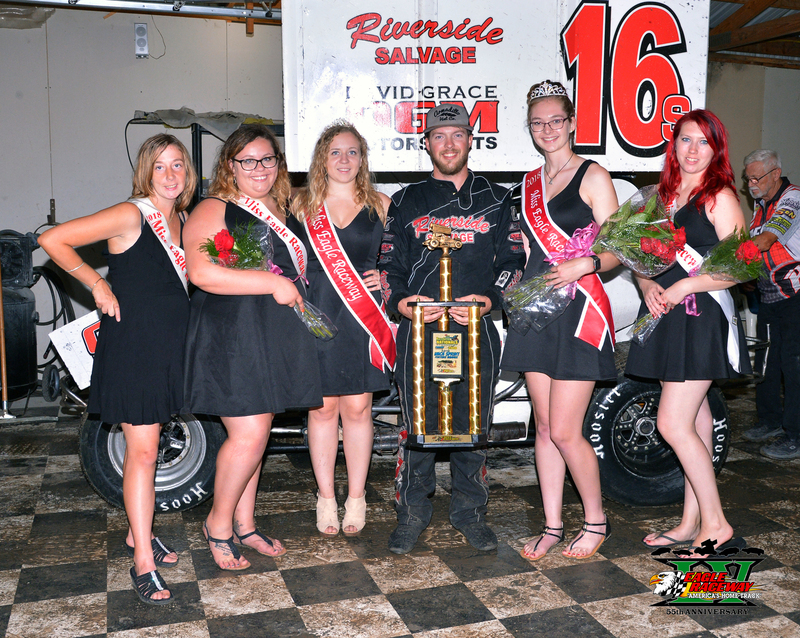 Andy Shouse used his pole position starting spot to hold off all challengers on a lightning fast track. 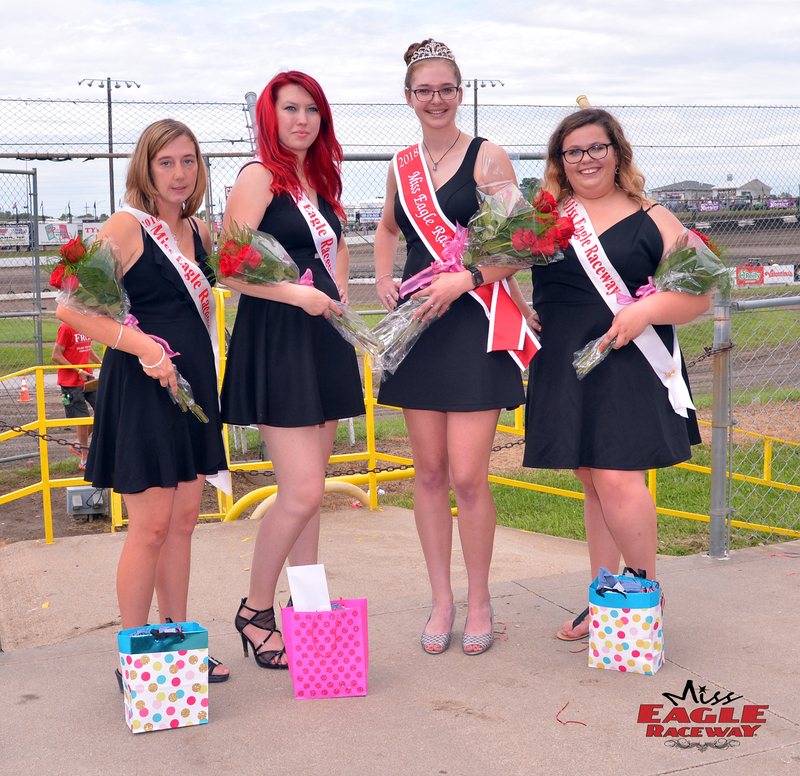 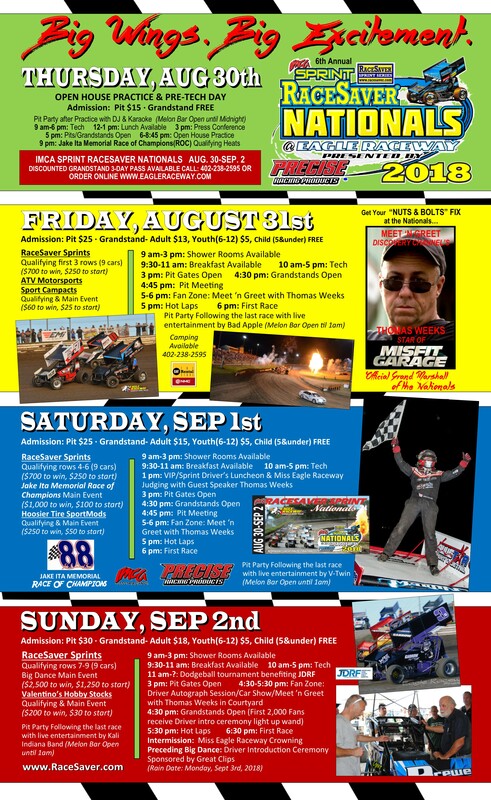 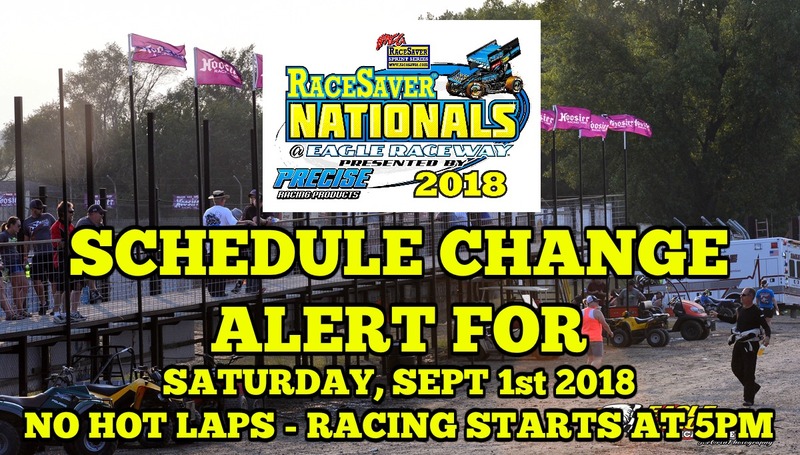 SCHEDULE CHANGE ALERT for Sat, Sept 1st RaceSaver Nationals! 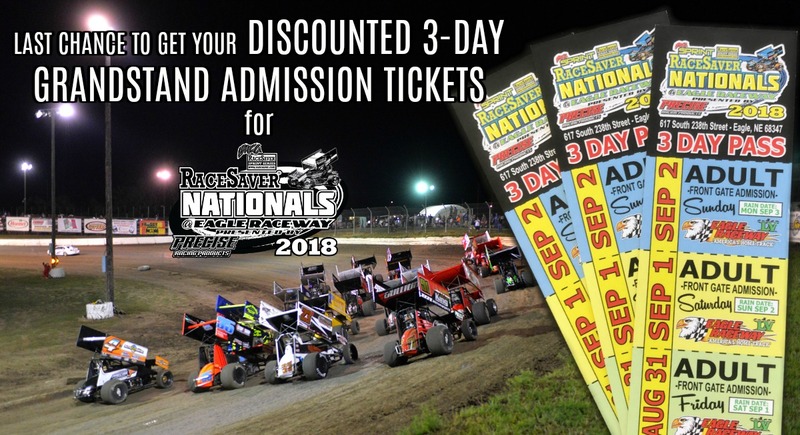 Thursday night at Eagle Raceway began the 4-day extravaganza known as the Racesaver Sprint Nationals. 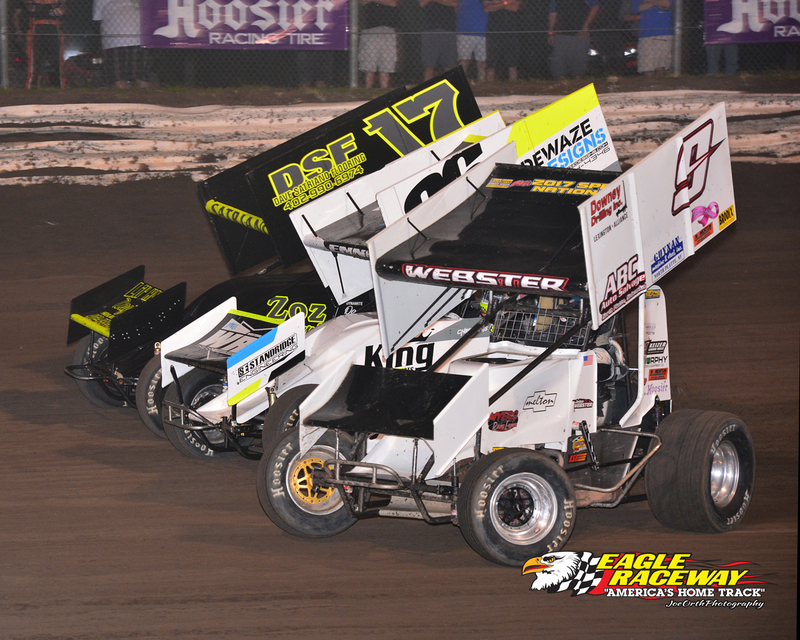 Race teams from across the country towed to the ‘Fastest 1/3 mile in the world’ to participate in America’s Largest Sprint Car National Event.